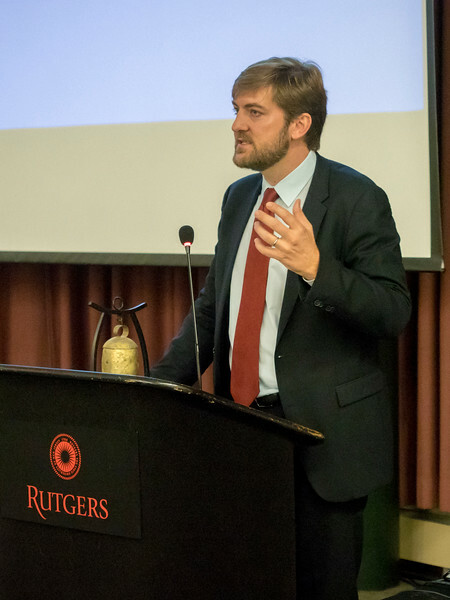 Share the post "“RU Sustainable to the CORE?” Conference Spurs Ideas for Sustainability at Rutgers"
“Have you heard of the Sustainable Development Goals, also known as the Global Goals?,” asked keynote speaker Jonas Haertle, head of the Principles for Responsible Management Education (PRME) Secretariat of the United Nations Global Compact Office. A majority of the more than 200 students, faculty and staff gathered at the Cook Student Center on October 11 for the “RU Sustainable to the Core?” conference put up their hands. “This is impressive,” said Haertle, as he looked out over the crowd. Jonas Haertle, head of head of the Principles for Responsible Management Education (PRME) Secretariat at the UN. 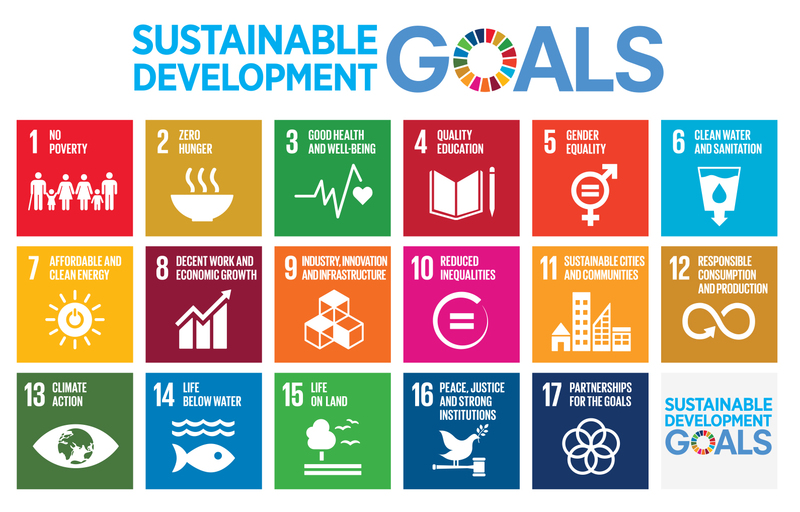 Haertle was referring to the 17 Sustainable Development Goals (SDGs) also known as global goals, which are a framework developed by the United Nations to guide growth and development throughout the world. The goals provide frameworks that address poverty, hunger, urban development, education, sustainable consumption and production, innovation, natural resource management, peace and justice, among other goals. The event, which featured a welcome by SEBS executive dean Bob Goodman, was organized on behalf of the Sustainability Committee at Rutgers by Jill Lipoti, assistant teaching professor in the Department of Human Ecology at the School of Environmental and Biological Sciences, and Jeana Wirtenberg, associate professor of professional practice at Rutgers Business School. Participants gathered to discuss how the 17 global goals could be used to promote sustainability at Rutgers in four “CORE” areas: Curriculum, Operations, Research and Engagement. Undergraduate and graduate students across the various schools and majors participated by gathering at the table of the global goal of their choice. At each table, students were encouraged to share their ideas in simultaneous 90-minute round-table discussions, which concluded with short reports of student-generated ideas. L-R: Jordan Shyi, Danielle Grant, Lisbeth Pineda, Lorena Pedetti and Deandrah Cameron each hold one of the 17 global goals. The Sustainability Committee at Rutgers, originally made up of faculty and staff from across the university, has expanded to include students, who have been pushing for additional opportunities to integrate sustainability thinking and action throughout the university. 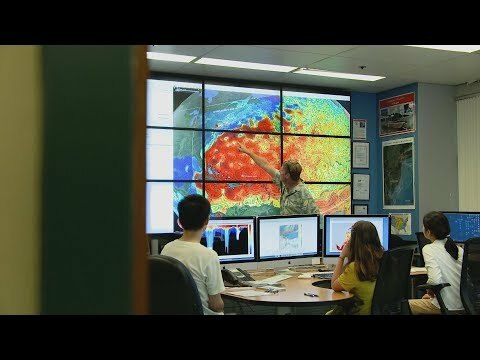 The input from this event as well as the previous two RU Sustainable conferences will form part of a 5-year plan for an Office of Sustainability, which would foster collaboration across the schools. The event also featured presentations on “The GREEN Program” by Amanda Crawford Staub, the program’s director of alumni engagement, and “Alternative Spring Breaks for Students” by Jordan Shyi, associate director for Leadership & Experiential Learning at Rutgers. Menus of Change, through Rutgers Dining Service, created the delicious and sustainable food menu for the event.